Huge Savings Item! 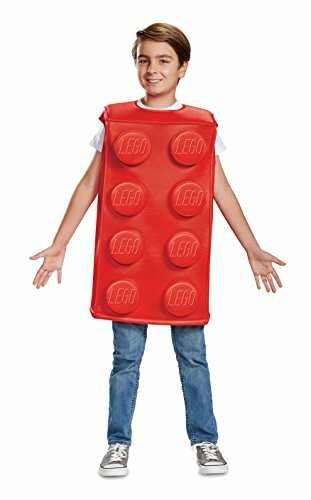 Save 17% on the Disguise Brick Child Costume, Red, Size/(4-6) by Disguise at Cheap Work Clothes. MPN: 66145L. Hurry! Limited time offer. Offer valid only while supplies last. Build the best costume around in this cool LEGO Red Brick costume. It has built in structure so you just have to put it on and you are ready to go. Build the best costume around in this cool LEGO Red Brick costume. It has built in structure so you just have to put it on and you are ready to go. The LEGO branded knobs are 3-dimensional giving you the ultimate LEGO brick look!